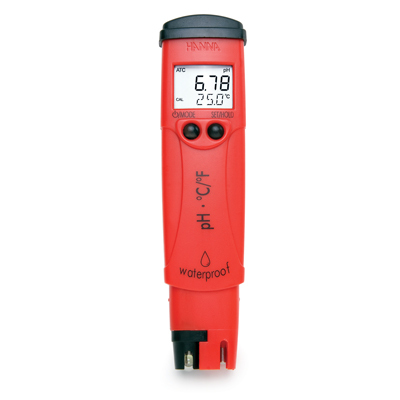 The pHep®+ revolutionized the pH industry by providing non-technical personnel with a simple, inexpensive solution to accurate pH measurement. HI 98108 is used by millions of people around the world to monitor pH in laboratories and industrial applications as well as in agriculture, fish farming, food manufacturing and quality control, swimming pools and the printing industry. 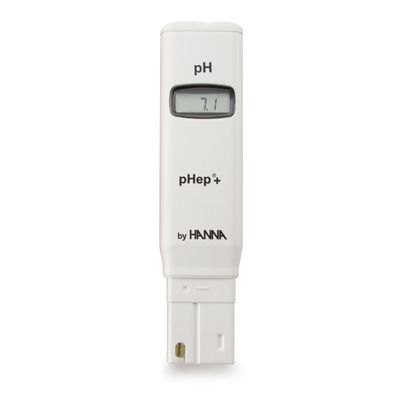 With a renewable cloth junction, the pHep®+ has an extended life over typical pH testers. A normal junction clogs with use over time and a typical tester would normally have to be thrown away once the junction is too contaminated. HI 98108’s junction is 2 cm long and when dirty, can be pulled out to expose a fresh section to effectively renew the pHep’s life. Calibration is performed manually at 1 or two points with a trimmer located on the side of the tester. With a battery life of 200 hours of continuous use, the pHep®+ will provide months of testing before the batteries need to be replaced. HI 98108 (pHep?+) is supplied with protective cap, calibration screwdriver, batteries and instructions.